Every morning, the fine folks at Sports Radio Interviews sift through the a.m. drive-time chatter to bring you the best interviews with coaches, players, and personalities across the sports landscape. 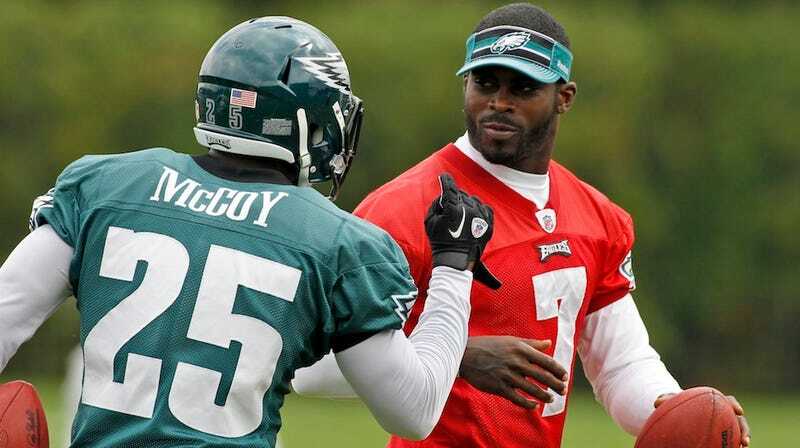 Today: McCoy has no complaints about the Eagles' playcalling. LeSean McCoy joined Angelo Cataldi on WIP in Philadelphia to discuss Michael Vick's players-only meeting, what went wrong last week against Atlanta and the number of reps he's receiving in the Eagles' offense. "It shows how much character he has, just getting everybody on the same page. I think a lot of guys want to get things off their chest, talk about different situations playing out on the field. So I think it worked out well and was very productive. We really needed it." "As a team we didn't come out to play. I don't think we executed on both sides of the field. That's what I think. … We didn't get it done. There's no other way to put it or sugar-coat it or try to make it sound better. It is what it is." "I feel like the coach is doing a good job. I think that we don't need to run the ball so much or throw the ball so much to win. I think it's balanced enough. … I think people just need to be a little patient. I think that's the biggest thing. When you start losing a couple games in Philadelphia, everybody panics. And as a team we can't do that." • Drew Brees says the Denver loss motivated the Saints. • Scott Boras doesn't think the Yankees and Red Sox should cut payroll. • David Stern did it all for you, fans.